Harrison Ford has joined the ensemble cast of the action sequel The Expendables 3, starring Sylvester Stallone, Jason Statham, Kellan Lutz, Victor Ortiz and Ronda Rousey. Bruce Willis will not be reprising his role as Mr. Church. 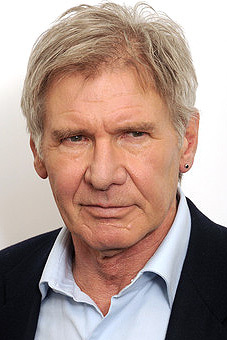 “WILLIS OUT… HARRISON FORD IN !!!! GREAT NEWS !!!!! Been waiting years for this!!! !,” Sylvester Stallone tweeted. According to reports, Bruce Willis was offered $3 million for four days of work shooting in Bulgaria but said he would drop out if he didn’t get $4 million. In The Expendables 3, Barney Ross (Sylvester Stallone) and his team of old-school mercenaries embark on another clandestine operation for the CIA. Australian director Patrick Hughes (Red Hill) will direct the 3rd installment of Lionsgate’s ensemble action franchise. “The Expendables 2″ grossed over $300 million at the worldwide box office. Ford most recently starred in Relativity Media’s corporate espionage thriller Paranoia and Summit Entertainment’s upcoming sci-fi adventure Ender’s Game based on the best-selling novel by Orson Scott Card. The Expendables 3 will arrive in theaters on August 15, 2014.